Human rights, dignity, livelihood, health and wellbeing are directly correlated with the health of the environment. We have seen time and time again that corporate actions often have devastating effects on the human rights of individuals around the world. From the Bhopal chemical disaster to the oil spills in the Niger Delta, failures to protect our environment impact the lives of millions and have ongoing and devastating consequences for future generations. 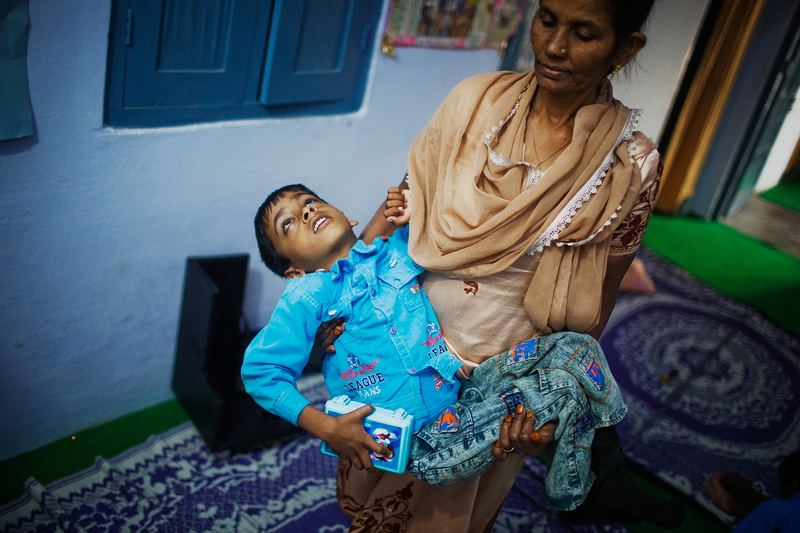 The 1984 gas leak at the Union Carbide factory in Bhopal, India was one of the world’s deadliest industrial disaster. The gas leak caused more than 7,000 immediate deaths and the ongoing contamination of soil and water killed 25,000 people. The survivors and their children, a second generation of survivors, live with debilitating health issues including cancer and birth defects. The site where the plant once was has not been cleaned up. Toxic wastes continue to pollute the environment and no one has been held accountable. Survivors have been denied adequate compensation, medical care and justice. 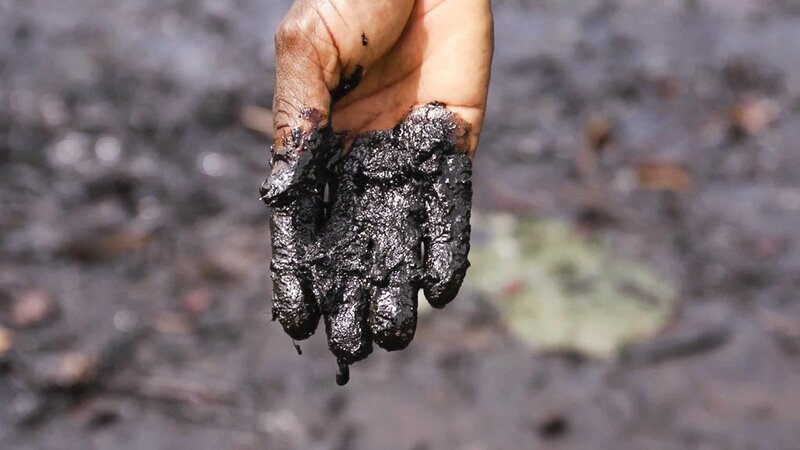 Every year there are hundreds of oil spills in the Niger Delta, caused by old and poorly maintained pipelines or criminal activity such as oil theft. The oil giant Shell has inadequately handled the pollution clean-up from its pipelines and wells, leaving thousands of women, men and children exposed to contaminated land, water and air, in some cases for years or even decades. 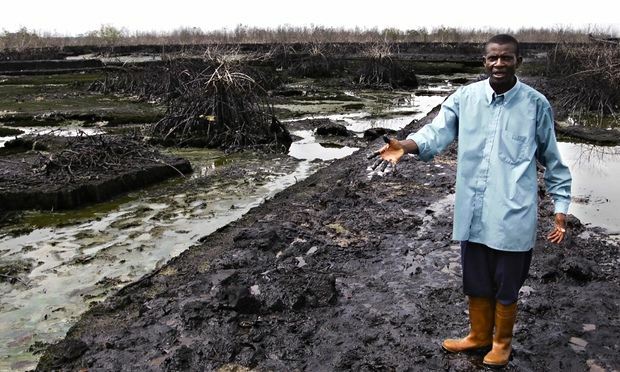 As long as oil companies fail to live up to their commitments, the Niger Delta will remain a cautionary tale of communities promised prosperity, but left with blighted, devastated lands. Companies who undermine environmental rights, evade justice and deny human rights to communities around the world must be held accountable. Governments have failed when it comes to ensuring justice for those impacted by environmental disasters and climate change. This Earth day we need to make a commitment to continue to raise our voices until we see justice and until we see change! 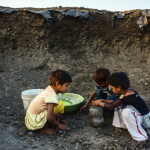 This entry was posted in Business and Human Rights and tagged Bhopal, Climate, climate change, Earth, Earth Day, environment, niger delta, shell by The Editors. Bookmark the permalink. Who obey the law in such a condition. Too many huge companies hire the most expensive of lawyers just to cover up their tracks when it comes to disobeying basic human rights. For most of them the only priority is profit, but they're forgetting that when it's mother nature's turn to seek revenge, we absolutely have no chance of fighting back. The government has to find more ways to hold these companies accountable for all of the damage they're causing the environment. Meanwhile, let's not also forget that each one of us can do something to contribute to the restoration of our natural resources. The moment you enter one of our stores you will experience a new level of serenity and good taste.Worth mentioning is that you can take the very same experience and class home; simply by selecting the product of your choice individually or in combination with the coordinated theme. If we fail our enivronment we fail to protect our human rights, really very better tips and info I ever seen here after reading this amnestyusa blog. Thanks for giving us a lot of important tips and concepts always. Temos que aceitar o governo que temos, onde a corrupção já é rotina, se tivéssemos um site que passasse todas as informações do governo seria mais fácil analisarmos, como nesse aqui que contém todas as análises dos serviços do seplag. I am happy to find this great site. Thank you very much for this fantastic read!! I definitely enjoyed every bit of it and I have you bookmarked to see new information on your blog. Its pleasure to visit your site. Its much interesting and informative for me i would like to appreciate you for doing best and will check your website again for more info. It's a shame we would let something like oil ruin the environment and people's lives. Maybe if we draw more attention to the issue we can get some changes made! This is what so many people need to read to help them realize how important it is to protect and clean our environment. We have it good in this country and we need to lend a hand when we can, especially the people and companies that can in a time of disaster.